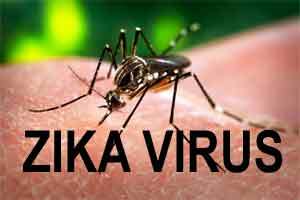 The Goa government is taking preventive measures to deal with Zika virus, which has been described by the World Health Organization as a “public health emergency of international concern”, Deputy Chief Minister Francis D’Souza said on Thursday. The Directorate of Health Services (DHS) has already started making efforts to create awareness about the disease, D’Souza, who is also the health minister, told reporters here. “My department has started working on it. It has not come to India as yet. As per my knowledge the virus is spread by the Aedes mosquito which also spreads Chikungunya and dengue,” D’Souza said. The DHS has issued written instructions to all hospitals and health centres run by the state government to step up surveillance in communities in which they are located. D’Souza said his ministry’s instructions are in step with the guidelines issued by the union health ministry. The rapidly spreading virus has spread to 22 countries, according to the WHO, and is known to affect unborn babies. “It could start anywhere. One affected person can spread the virus. We have to take our own precaution. We need to develop a vaccine and sensitise our population. We have to get prepared for it. We cannot wait for the virus to strike and then start,” D’Souza said.